Value chain development performed for the Community Livelihoods Project from USAID with coffee sector assistance by the Coffee Quality Institute. For this assignment, Andrew Hetzel was contracted as a coffee specialist engaging in activities and publicity surrounding the 2013 Specialty Coffee Association of America Conference in Boston. 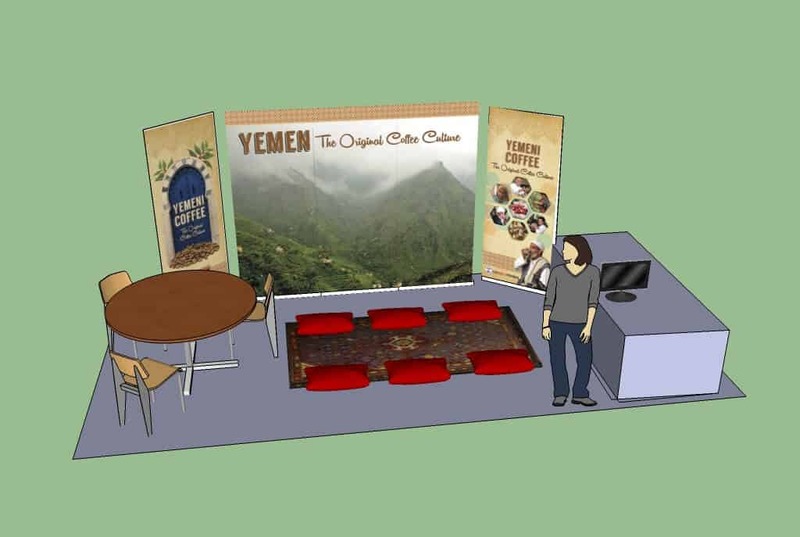 With only a short time for preparation, Andrew developed a strategy and brand marketing campaign “The Original Coffee Origin,” to promote Yemen and its unique value proposition at the world’s largest coffee industry event. Andrew employed combination of press activity, designed a simple but attractive trade show display, conducted sample coffee tastings at the show for interested participants and organized a VIP meeting of approximately 30 high-level coffee industry, USAID and Yemen government officials to discuss the challenges faced by Yemen and potential for its coffee agriculture. 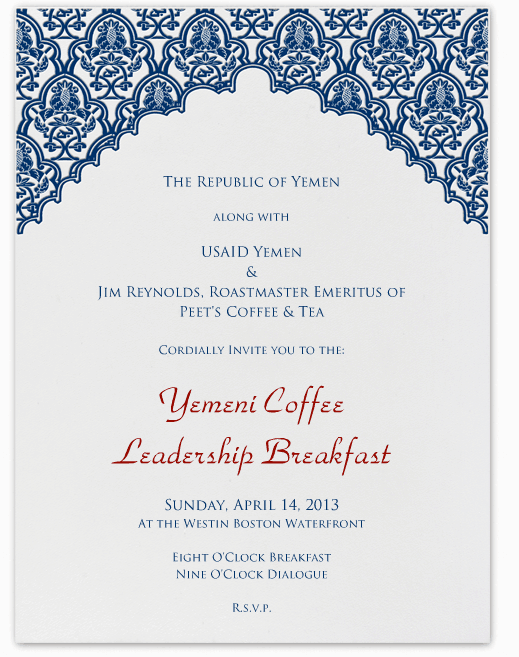 The showing in Boston proved that there is potential for Yemen’s desirable specialty coffee and as a result, USAID continued and expanded coffee development in 2014 and 2015 in the region.